Hello everyone! I'm sorry it's been so long. I started school last week, so I'm adjusting. 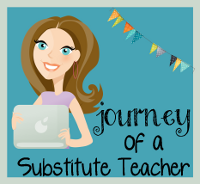 :) It's a bit of a juggling act with school, kids and blogging. I love it though! It's great to be back. I have a great community of kids, parents, and teachers at my school. This makes going back to work (and saying goodbye to summer) much more enjoyable. 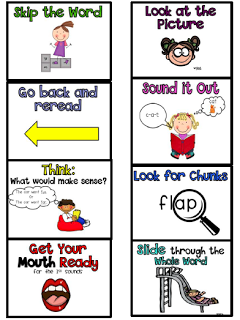 For those of you who teach reading, I posted some reading strategy posters on my blog today. I included a link from a post that I wrote about a year ago. 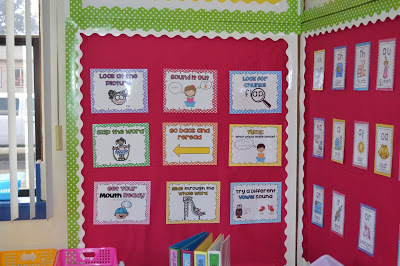 It's a detailed post about how I use my reading strategy posters and how I teach these decoding strategies. I'm a big fan of teaching strategies! 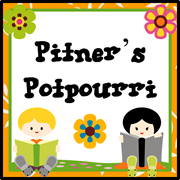 We want our students to be active, independent readers, right? 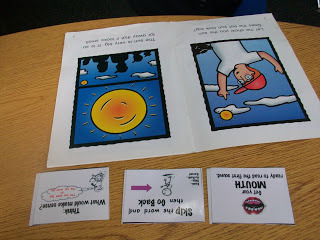 I made some mini-cards that I use during guided reading groups. To read more about how I use these resources and how I teach these strategies, click here or on the picture below. 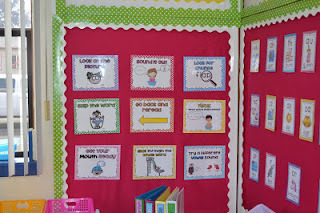 Super cute posters- thanks for sharing!